His full name is Sir Henry Gray Poops-On. This is a very apt name since anyone who has spent time with a parrot on their shoulder knows that the birds do a lot of pooping while there. 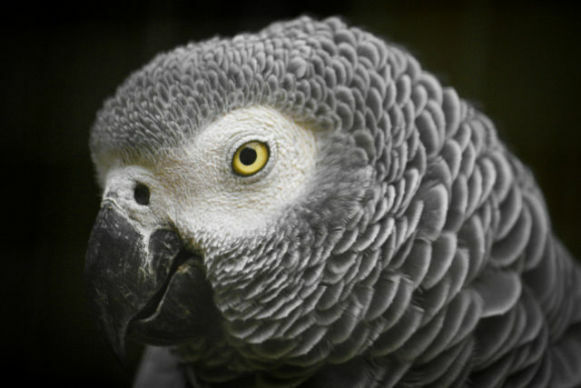 Yes, I know this from personal experience -- I used to work in an office where the boss had a parrot that loved me. I was never able to wear a shirt twice without washing. But I digress. Sir Henry hangs out in the campaign office in Johnson City, Tennessee. There he helps start conversations, ease tensions, and periodically exclaim "Feel the Bern!" This last part he does with energetic enthusiasm. Sir Henry actually belongs to Carleen Claybaker, a campaign volunteer. 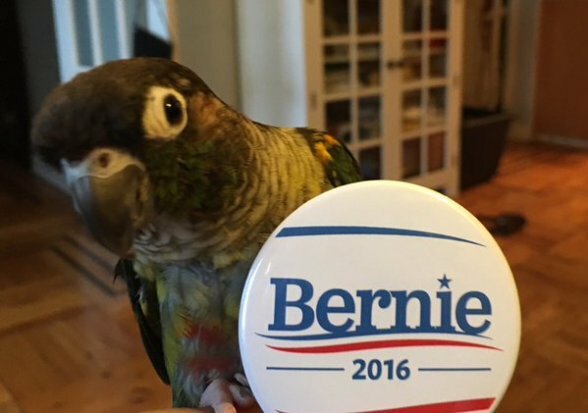 According to USA Today Sir Henry is not the only parrot out there feeling the Bern. 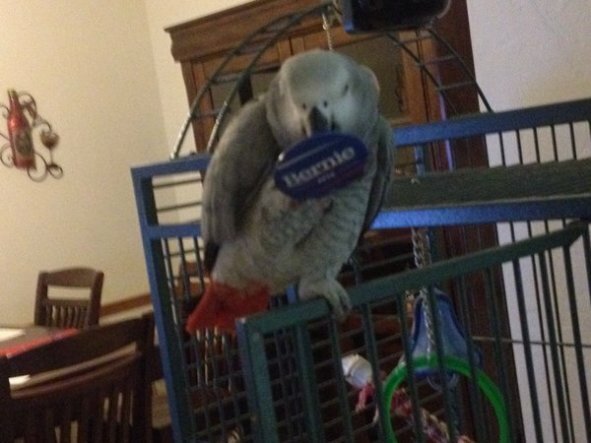 Another parrot named Spuddy Sanders is also supporting the campaign. In fact there are enough birds out there stumping for Sanders that there is now a Twitter account named Birds for Bernie. Yes, the Vermont senator definitely seems to have wrapped up the avian vote. Oh, wait. Birds can't vote. Dang!